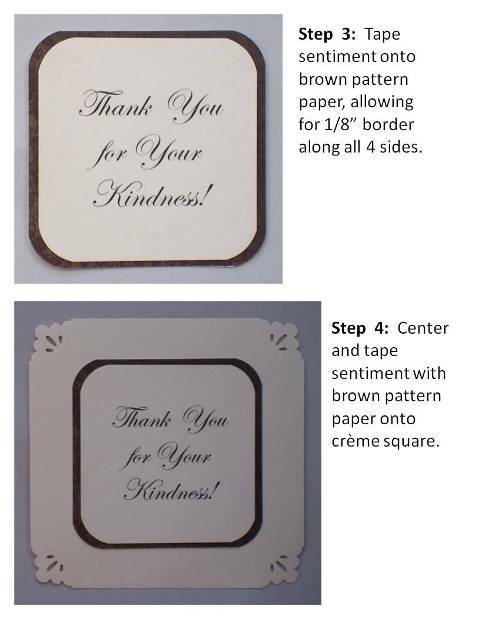 Design a birthday card that's simple. 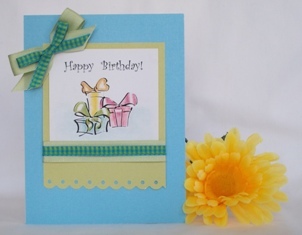 Making birthday cards are easy when you have ideas to inspire you. Try my designs to create birthday cards. 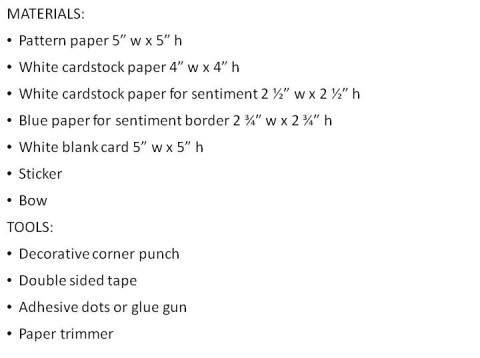 When you are making birthday cards, or any card for that matter, keep a look out for stickers that are on sale. I found a pack of one with beautiful flowers that were on clearance. The particular sticker I chose from the pack already had glitter and gems so I didn't have to embellish it any more. 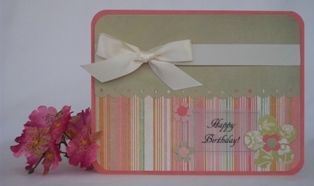 This handmade birthday card was inspired by the chipboard sticker. I used the colors on the sticker to help coordinate the colors for the card. 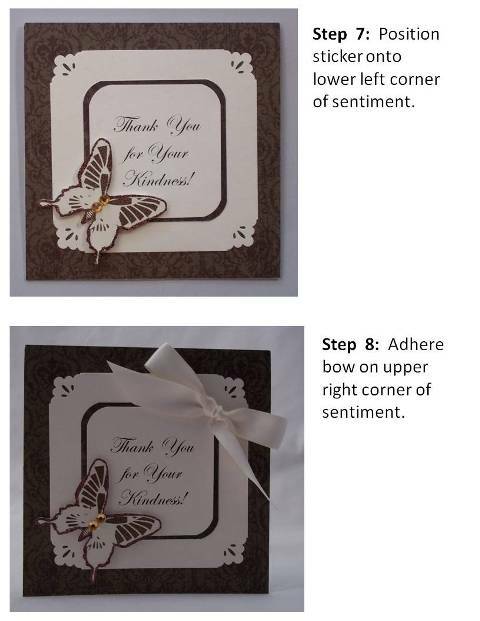 I used a decorative corner punch to enhance the corners and used a half inch corner punch for the sentiment and border around the sentiment. 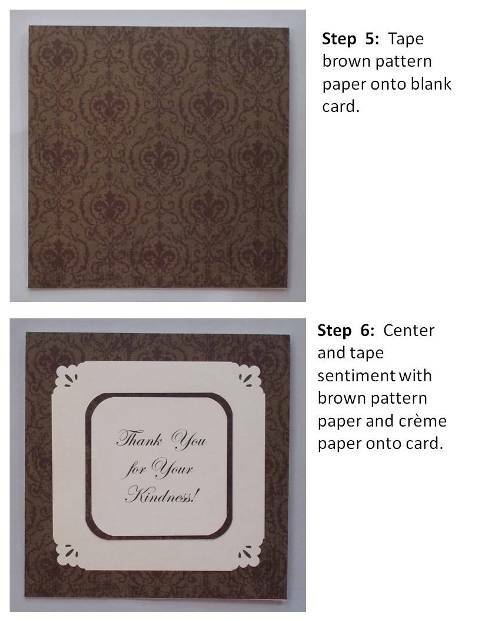 The rounded corners help soften the card. The satin bow is the finishing touch. 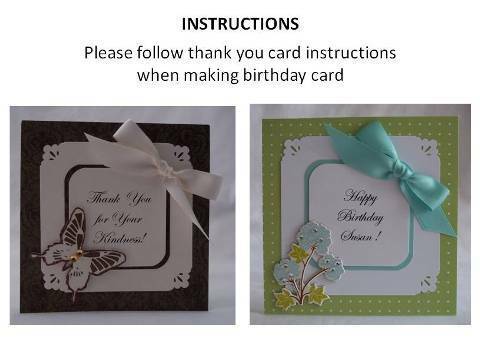 Create a birthday card like this one. I found a clip art image which I colored in with my colored pencils. The bottom of the green paper was punched out from my scallop border punch. I layered a couple of bows using a green and gingham check teal ribbon. 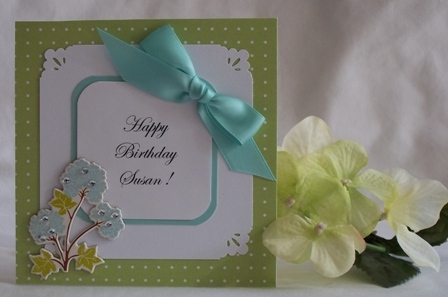 This birthday card was created using the same scallop border punch as above. 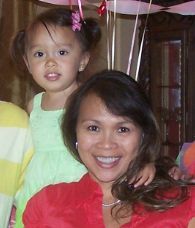 I coordinated solids, prints and stripes for this birthday card idea. 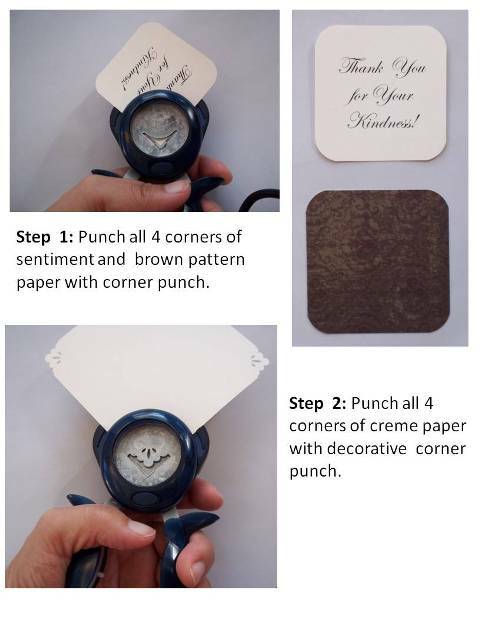 I punched out the flowers and used a half inch corner punch along all four corners. 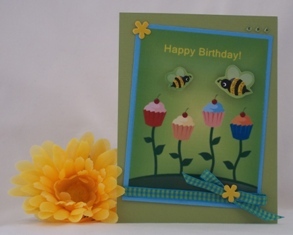 Make birthday cards with the help of a cardmaking software program. This birthday card design was created with ECard Wizard. I used yellow brads to hel embellish it along with ribbon. The bees were sprinkled with glitter.